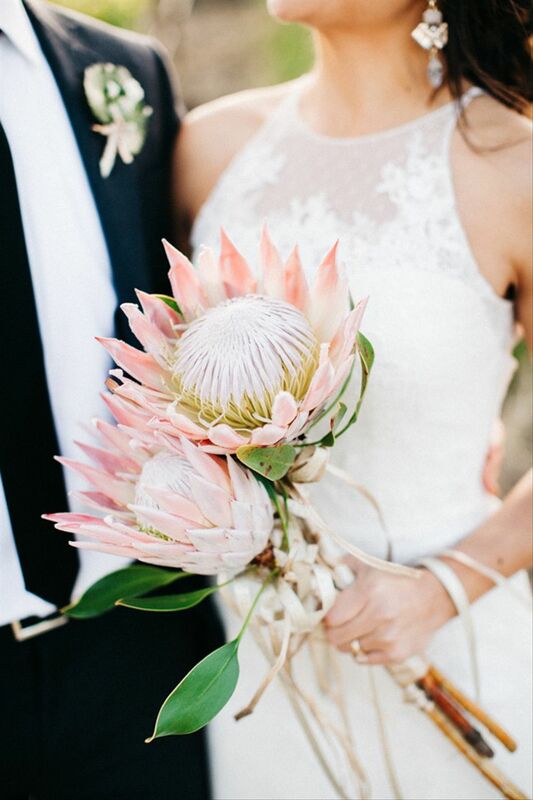 For wedding flowers that really pop, look no further than these stunning and unique king protea bouquets. 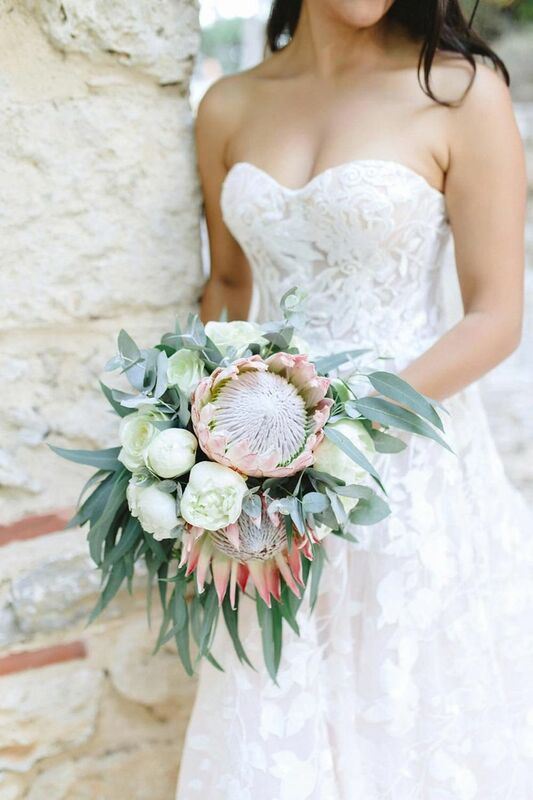 King protea bouquets are totally trending, and it’s easy to see why. Native to South Africa and Australia, this statement flower has a unique look that knows how to show off — an upward sloping fuzzy center framed with spiky petals gives it a majestic vibe worth fawning over. 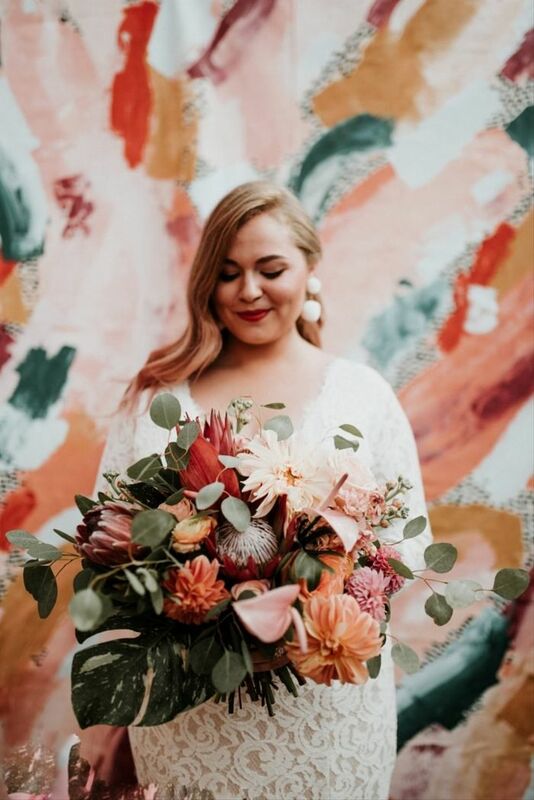 Coming in a variety of shades, from rustic red and deep purple to blush pink and soft white, they’re available in equally diverse sizes, but are almost always bigger than your traditional flower. 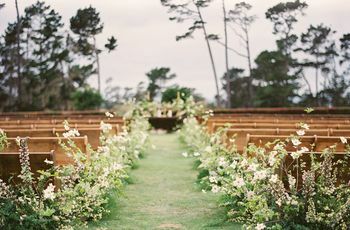 Their oversized nature allows them to stand alone as a minimalist bouquet or stand out among a sea of greenery, wildflowers, and traditional roses — or whatever your heart desires! 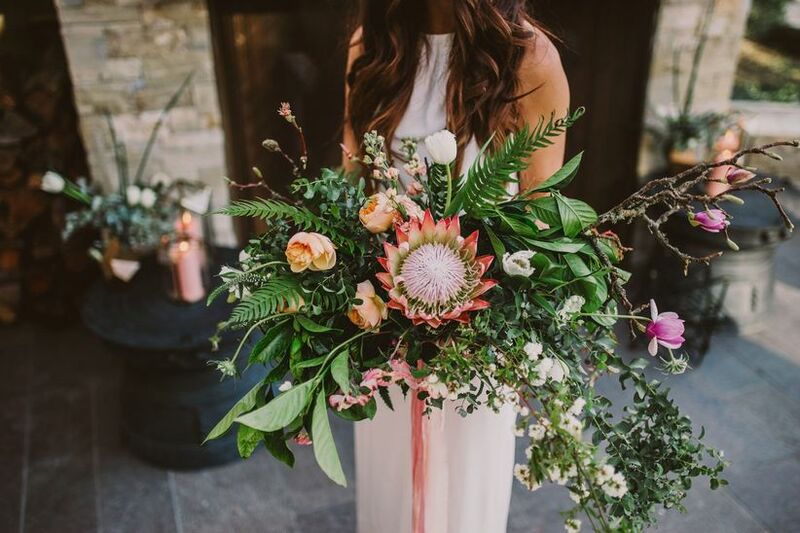 Here, 20 stunning king protea bouquets to let your floral dreams run wild. 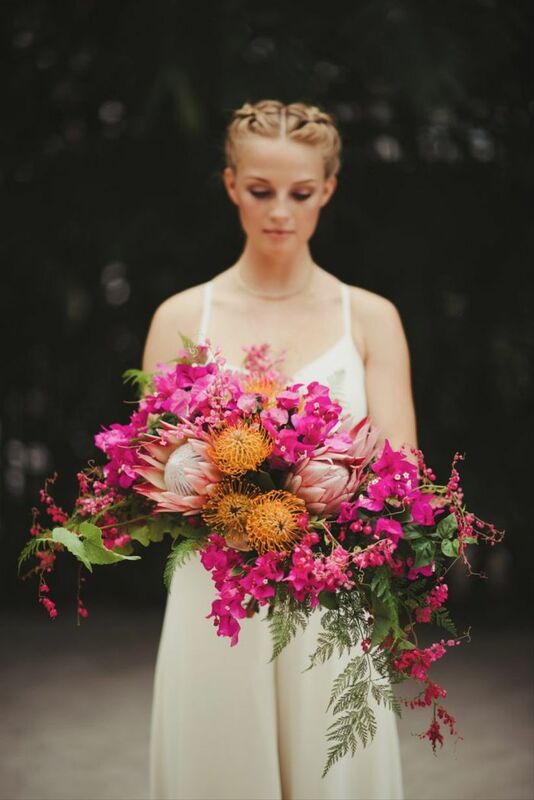 Ombré shades of red and pink give this protea wedding bouquet a fiery feel. A soft palette of white and blush creates a sweet and simple springtime combo. 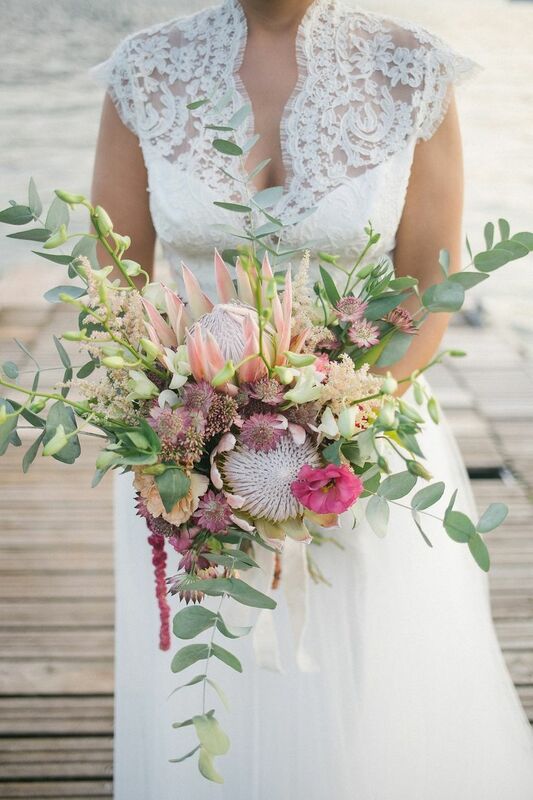 Twin king proteas in millennial pink peek out among vibrant orange and magenta florals in this tropical bouquet. 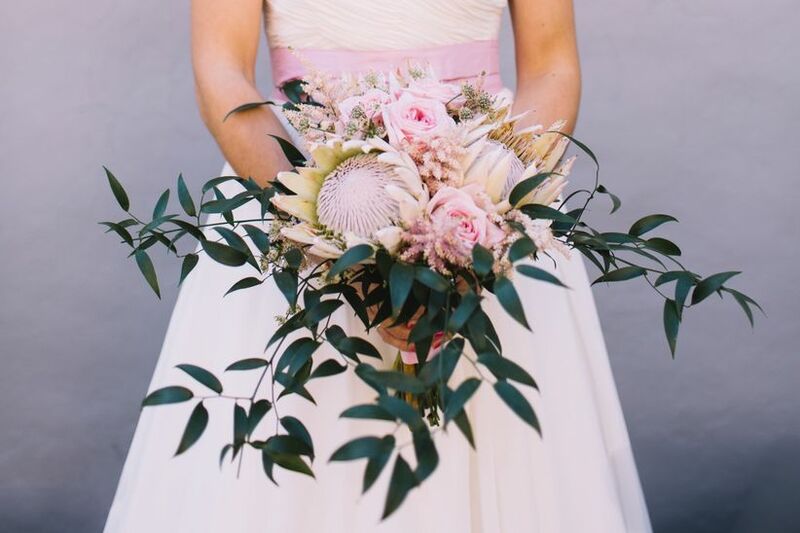 Lush eucalyptus surrounds pastel blooms and a statement king protea flower for summer vibes. 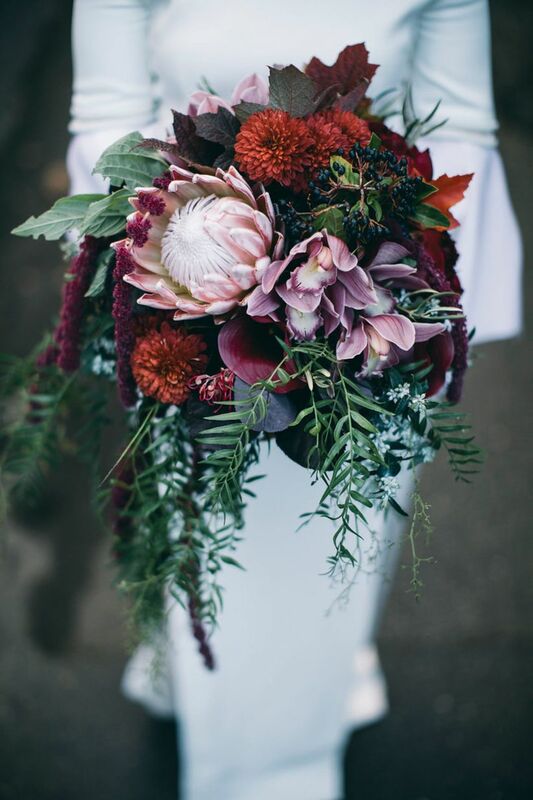 Rich shades of navy, red, and purple create some serious moody romance in this king protea bouquet. 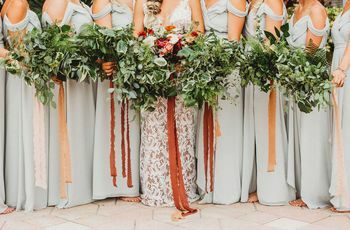 This bouquet is gorgeous in green! 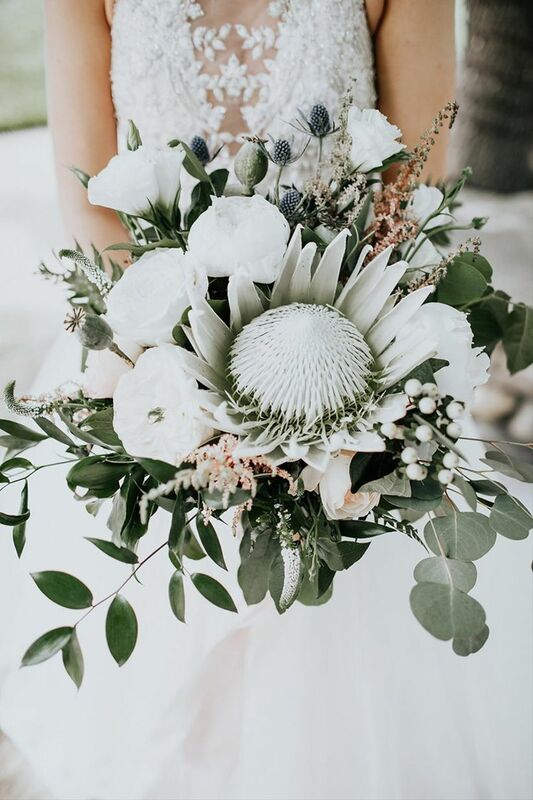 With a large king protea nestled among wildflowers, thistle, greenery, and a few white florals, it looks like one large flower. 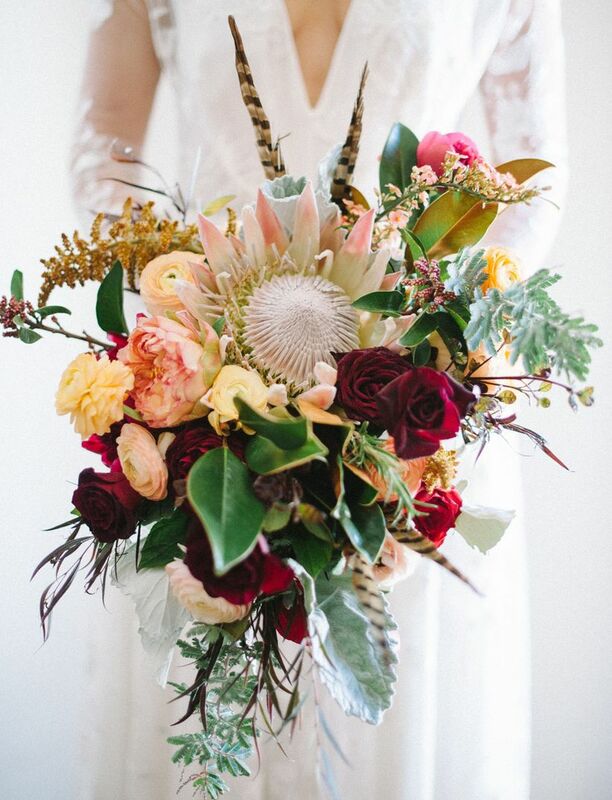 Rife with red florals and wild greenery, this protea wedding bouquet puts an elegant spin on bohemian beauty. 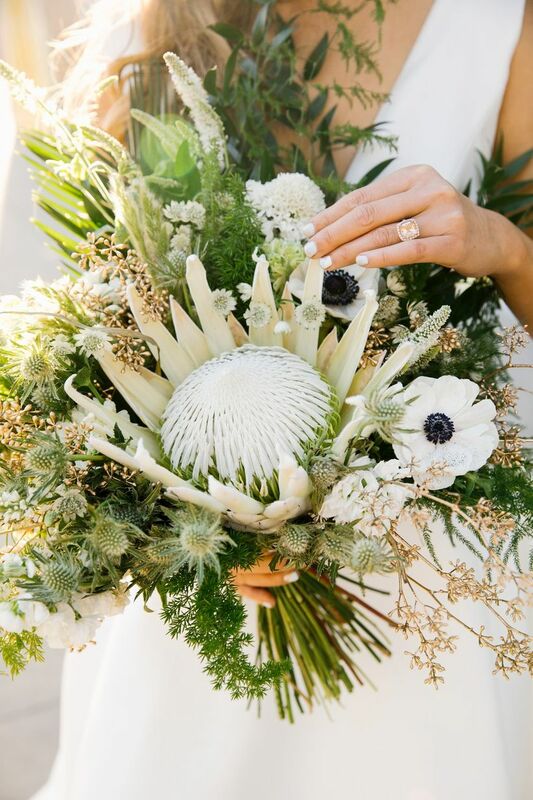 This cascading bouquet gets a little wild thanks to a juxtaposition of ferns, branches, daisies, and king protea. 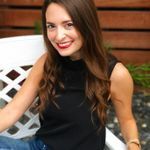 Bright, spring colors scream playfulness. Sometimes, less is more. 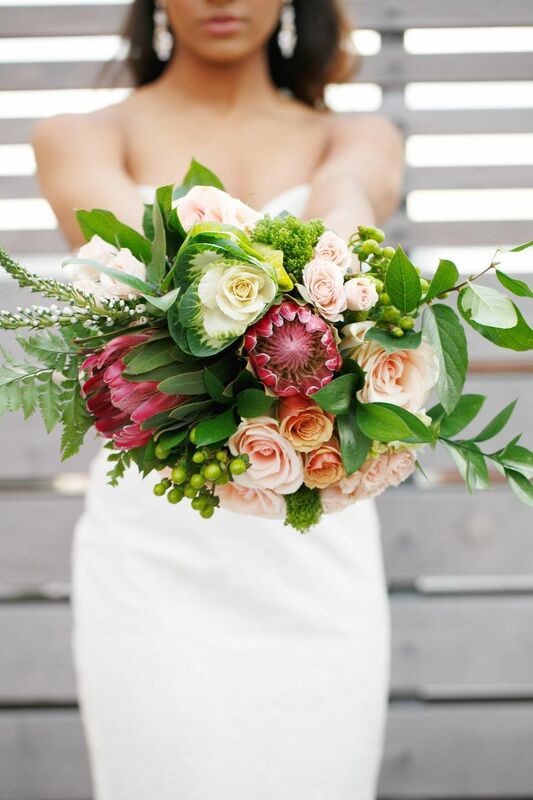 Although this gorgeous bouquet lacks color, it stuns in white and fringes of green. 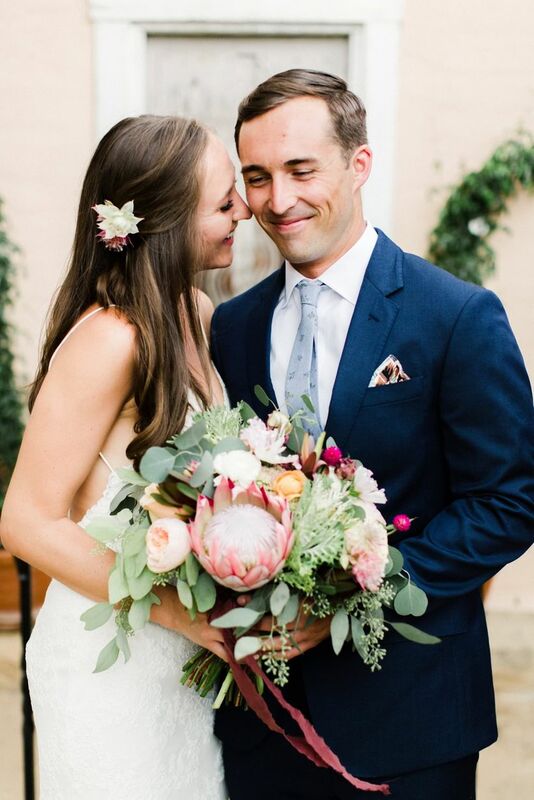 Pastel blooms evoke the simplicity of love. 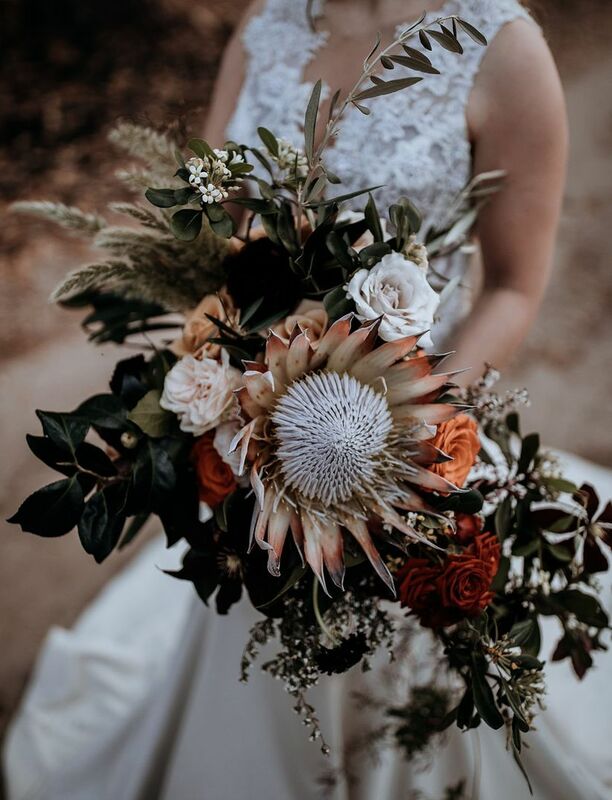 An edgy king protea and rich hues set the stage for moody autumn vibes. 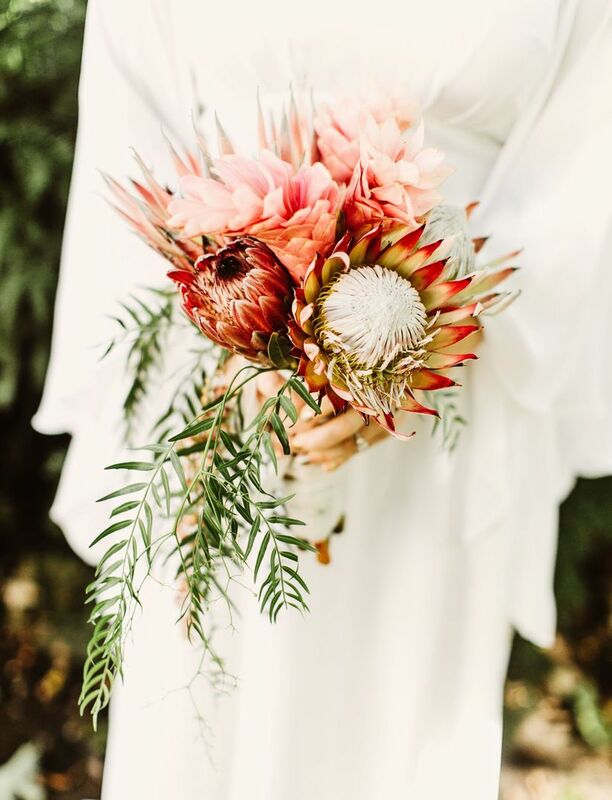 Sometimes, you don’t any other florals to complete your king protea bouquet — a minimalist touch looks just as good. Bold, bright, and bodacious, this vibrant bouquet takes on a whole lot of flair. 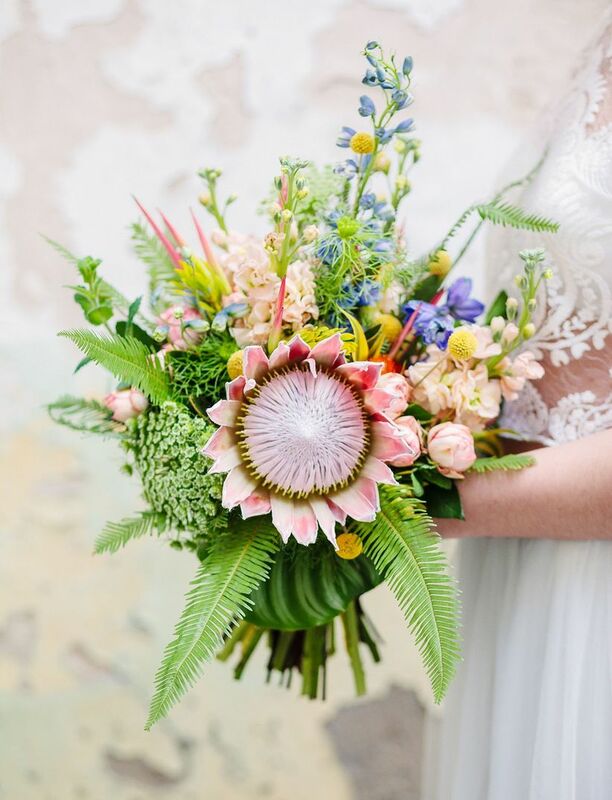 Accented with fresh, sweet florals, this king protea bouquet looks like it was plucked straight from a garden. 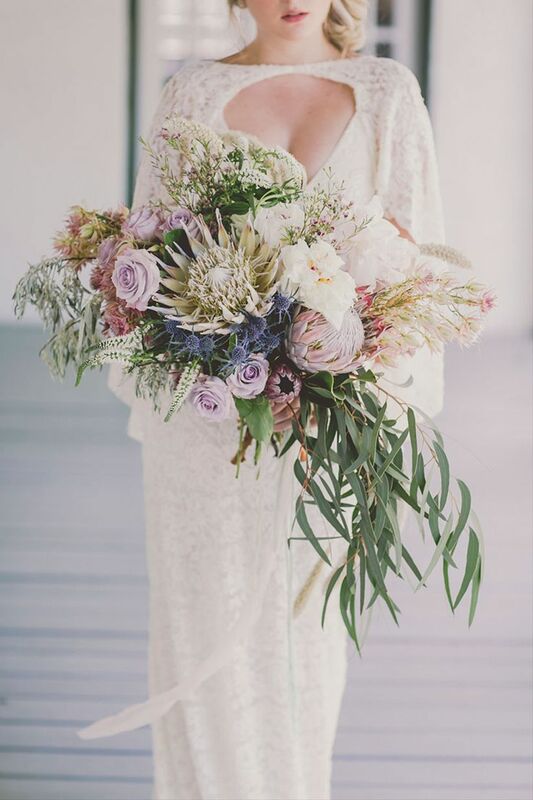 Purple tones lend this cascading bouquet a majestic, ethereal feel — it’s perfect for a woodland fairytale wedding. 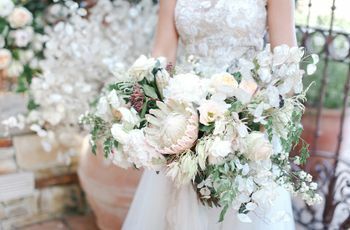 How darling is this bouquet? Pink roses and astilbe details surround a king protea centerpiece. 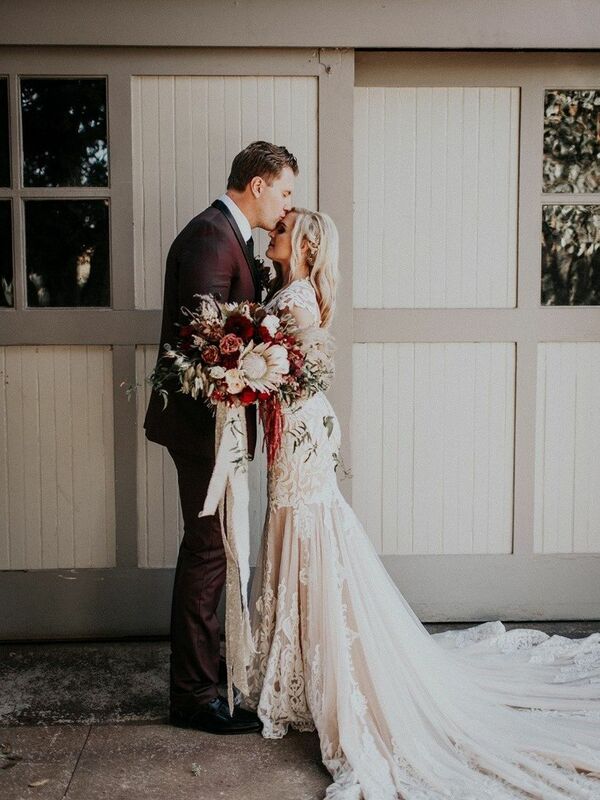 Rustic jewel tones create a husky color combination that every fall wedding dreams of in this rich arrangement. 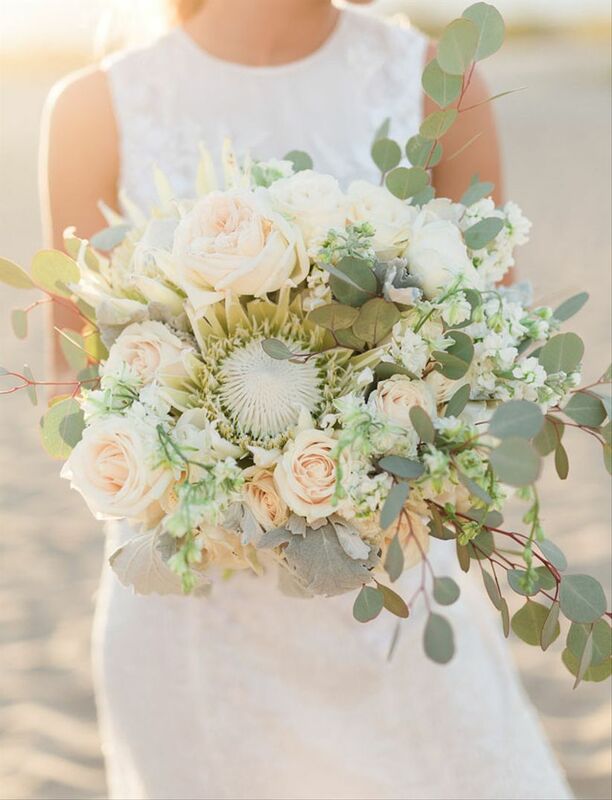 Roses, king protea, silver dollar eucalyptus, stock, and dusty miller combine in a muted palette for dreamy bouquet. 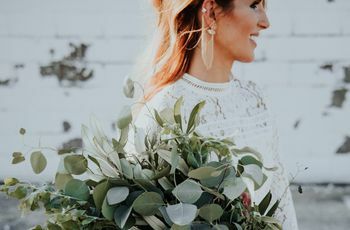 Wedding Flowers Cascading Bouquets: The ‘80s Trend That’s Back in a BIG Way ... Take a look at these stunners for some inspiration.